Thank you Jim Herd (and SF Weekly) for this wonderful photo! via Local Bird Catches Gold Fish Cracker in Golden Gate Park | SF Weekly. This entry was posted in animals, arts, birds, wildlife and tagged birds of golden gate park, golden gate park, nature photography, urban ecology, urban wildlife, wildlife photography. Bookmark the permalink. 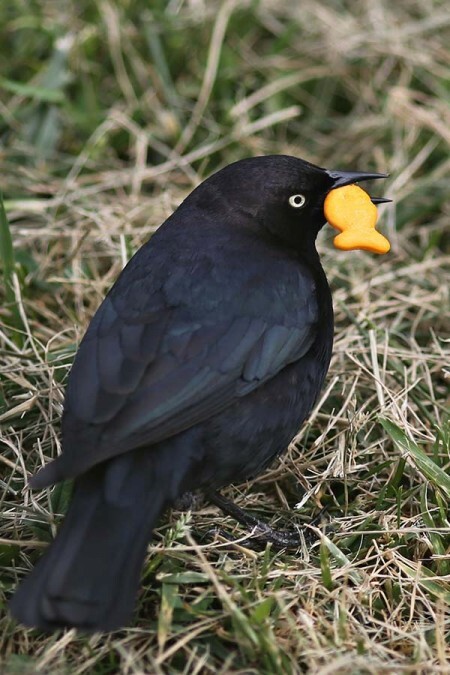 Great photo of a Brewer’s Blackbird with a Goldfish. Shows how urban they are. And how broad is the appeal of junk food!